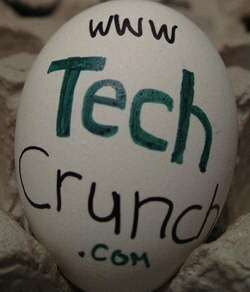 Just as children love hunting for Easter eggs, we love finding virtual Easter eggs in software and Web apps—those intentional hidden messages, features or jokes built into the software that users in the know may stumble upon at some point during their experience with the application. We’ve compiled a list of some of our favorite software Easter eggs of all-time (in no given order) in light of today’s holiday. Of course, there are many more Easter eggs out there. Tell us us your favorites in the comments! 1. Atari: The first ever software Easter egg is speculated to have occurred in 1979 in an Atari game. Apparently, programmer identities were kept behind locked doors in the easly days of software development, with companies not wanting staff to gain more celebrity status than their brands. Warren Robinett, a programmer for Atari sneaked his name into the Atari 2600 game Adventure. 2. 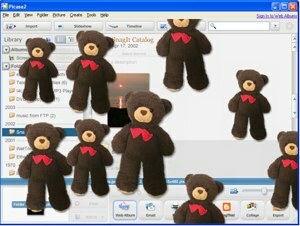 Google’s Picasa Teddy Bears: Image editing software Picasa has an entertaining teddy bear Easter egg. If you open Picasa and press Ctrl-Shift-Y, a teddy bear will pop up. 3. The Book of Mozilla: If you type “about:mozilla” in the address bar of any version of Firefox, you will be led to a page with a quote from the “Book of Mozilla” about the birth of Firefox. 4. Google Earth Flight Simulator: If you open Google Earth, version 4.2, and press Ctrl-Alt-A (“Command” “Option” “A” on a Mac), Google inserted a flight simulator that lets you simulate being in the cockpit of a F16 fighter jet ot a lightweight SR22 propeller plane. 5. The Dark Castle on the iPhone/iPod Touch: According to this report, a teenager in the UK managed to discover this egg, the classic Mac game “Dark Castle”, in its entirety, available on the iPhone and iPod Touch. Activating this game is a bit complicated but, here are the directions. 6. Google’s Mobile App: Google unveiled a surprise Easter egg for its Mobile App for the iPhone earlier this year. 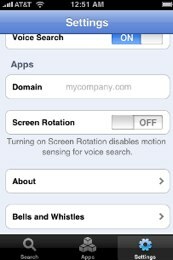 If you click on the settings tab, scroll to the bottom and keep swiping upwards until a secret option dubbed ‘Bells and Whistles’ appears (this also works in the foreign language versions of the app). The hidden menu lets you change the theme color of the app and its default sounds to chicken or monkey noises. 7. Microsoft’s Volcano: Microsoft inserted a volcano Easter egg in all Windows Operating Systems prior to XP. If you go to control panel display, click on the screen savers tab, select “3D Text,” then click on settings and in the graphics text box type “volcano.” The screen saver then shows names of all the volcanoes in the U.S.
8. 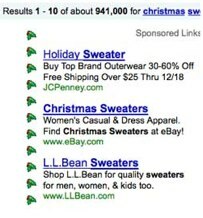 Google’s holiday Easter eggs: Last holiday season, Google put Easter Eggs next to the sponsored link search results for terms like Christmas, Hanukkah, Kwanzaa Gifts, Christmas Sweaters, Hanukkah Sweaters, etc. 9. Mac OS X “Here’s to the Crazy Ones”: If you open Finder and go to Applications, look for TextEdit. If you enlarge the icon in CoverFlow, you’ll see a letter from John Appleseed quoting the text from Apple’s “Think Different” advertising campaign.